A bond of friendship also embraces the beauty of love, with pure and eternal feelings. This relationship is a lasting relation that grows with you. 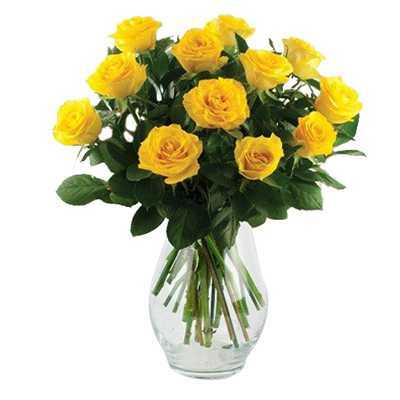 To embellish this relation with love and respect this beautiful and magnificent bouquet of 12 yellow Roses in a lovely glass vase is a perfect gift for your loved ones.